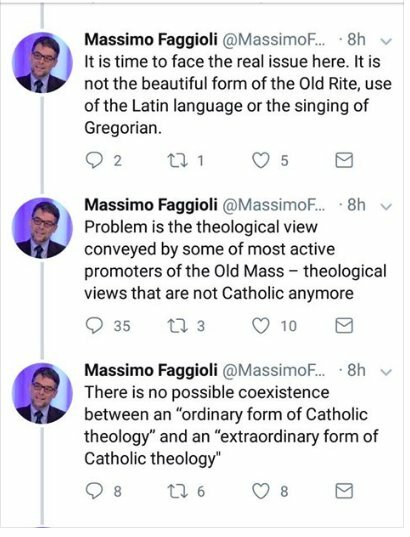 Massimo Faggioli, an alleged "theologian" reveals today what most of us have known for a long time, that the Catholic Church, while it still exists, has been overtaken by men who have put a new and false church into being. A church of Satan, a church that is against Christ and His Truth. At the same time, James Martin issues the following. Rather than correct the poor child from what is clearly confusion and probably some kind of mental illness, he leaves him in his state and deceives the parents. He dares to write that it is a "scandal." The scandal is James Martin. Where are the Church leaders who have the power to silence both of these men for their heterodoxy? They are nowhere to be found because they agree with them. As with Mundabor, I look forward to being excommunicated. Sorry, Vox. Unless you excom yourself the pervs will take your money til the end of time. Don't ya get it? They're not trying to exclude anyone's wallet, even yours. You could get yourself excom, the same way Peter, Paul, Barnabas etc.--but you have to stand up in your church (synagogue) and say something, or write letters to the priest (like that Canadian woman) until they get so teed off that they try to throw you off a cliff or crucify you--you can't just write a blog for the people that agree w/you. 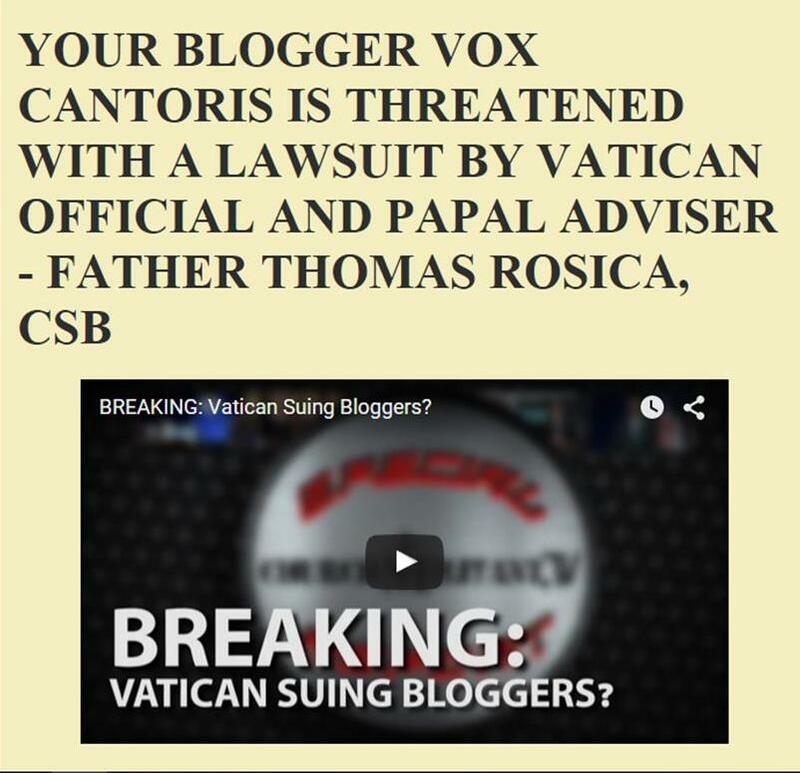 Vox: These guys are all, as with most clergy, deeply marinated in the re-packaged Modernism which is the Spirit of Vatican II. That is the default "Catholicism" of today. Most clergy, today, know nothing else. This is why I think that Francis will continue, triumphantly giving the middle finger to anyone who would dare to cross him. When all is said and done, most "Catholics" today are on his side. Where are the bishops who will publicly and universally begin to shun Francis, a truly disgusting piece of Modernist putrefaction? Those bishops, who have, in their hearts at least, maintained a commitment to faithful Catholicism, will remain silent. You're assuming I give them any money! I give my time to faithful causes, but they won't get one penny from me. this is the money quote, "...Theological views that are not Catholic anymore." "ANYMORE"??? MY GOD the hubris! If the theology WAS Catholic, it still is and forever WILL BE Catholic. God does not change; TRUTH does not change; God's revelation DOES NOT CHANGE. these 'men' are demonic. Thank you for your excellent blogs and truth. Re. 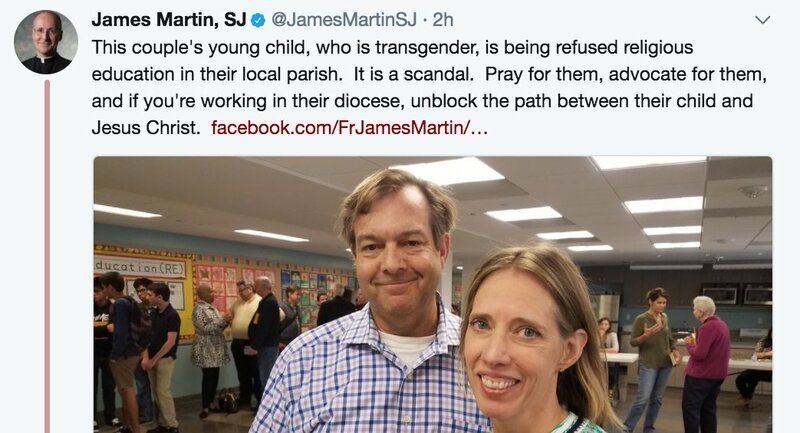 Transgender child,now Catholic schools in the UK are being "Transgendered"
Video on comments section says it all! Need ALL signatures to stop this evil spreading. It seems one has to join the association in order to sign the petition which implies it's only for UK citizens protesting against British Law. But Vox, Faggioli is right! There is NO possible coexistence between the ordinary form and the extraordinary form! They are two completely different religions! He's just wrong on which one is not Catholic!